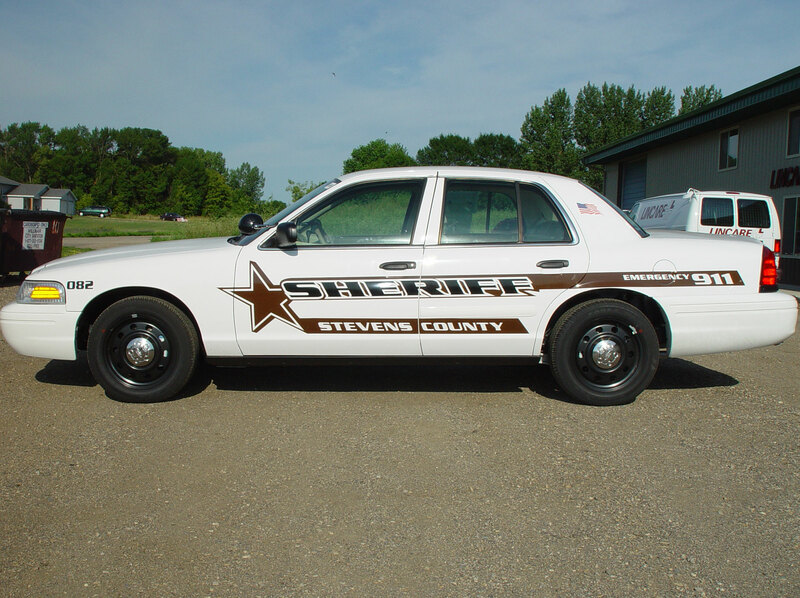 Baker Graphics specializes in custom vehicle markings for Police, EMT, Sheriff and Fire departments as well as Security agencies. Our products include vehicle graphics, police car decals, badges and emblems. 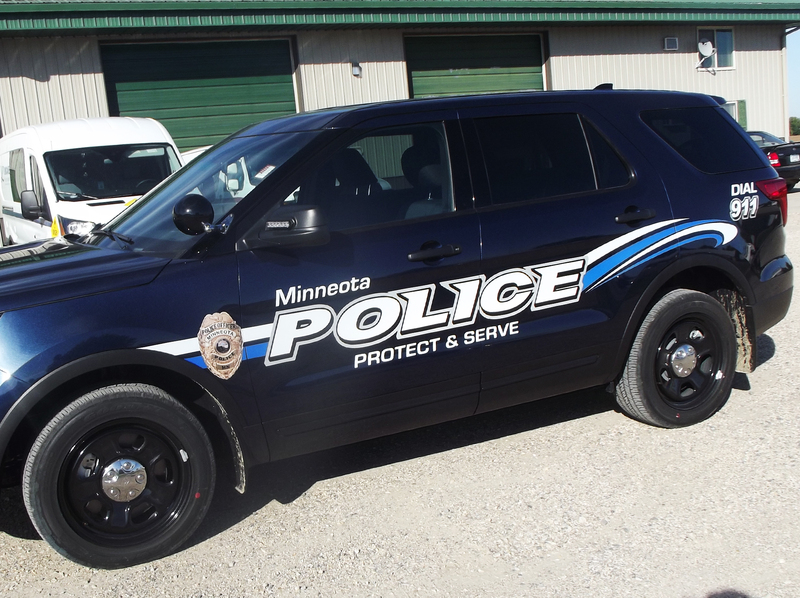 All graphic packages can be fitted to the Chevrolet Impala, 2011 Chevrolet Caprice, Ford Crown Victoria, Ford Taurus Interceptor, Dodge Charger and any unique cars, trucks or SUV's that your department may have. We also offer license plates and more! 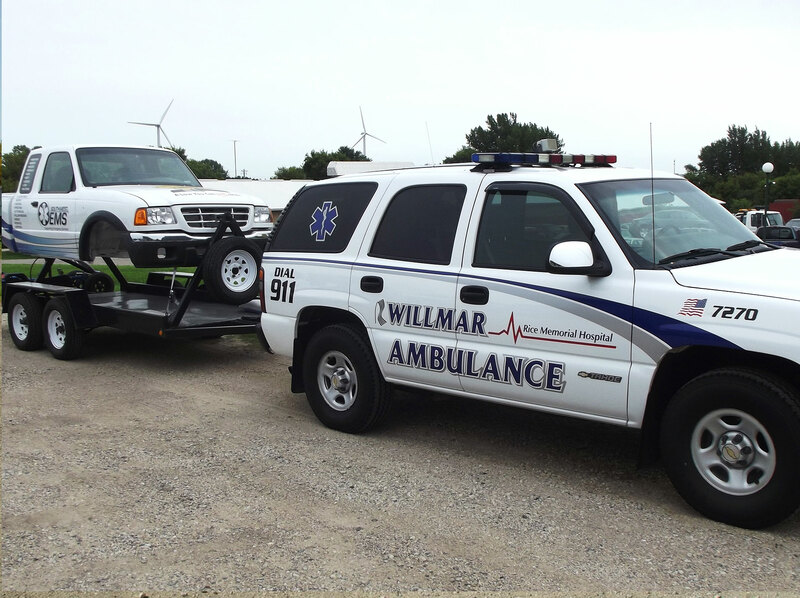 The vehicles of your local Emergency Services are just as visible to the community as police cruisers. We will work with you to make sure those vehicles look their best and give the taxpayers something to be proud of. Better yet, we will make sure you get all that you can out of your budget. Chevrons are a necessity when it comes to EMS vehicles. 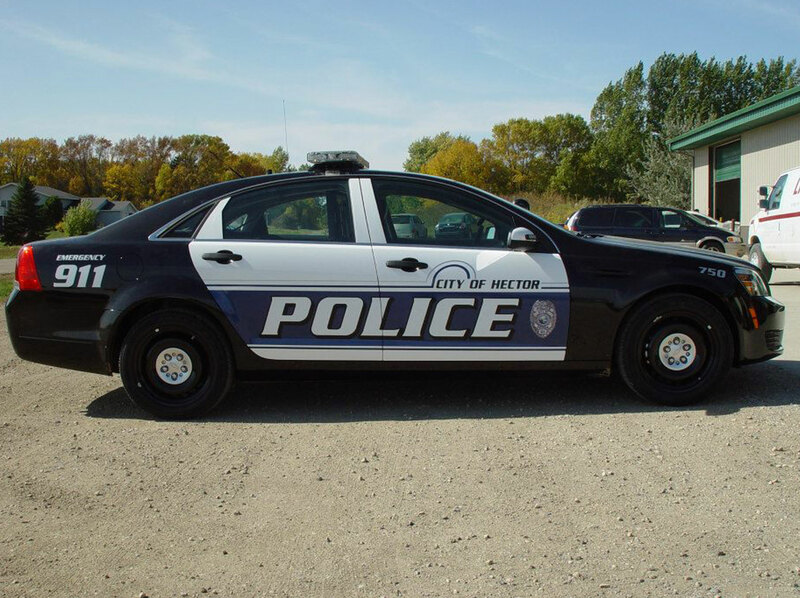 Fifty percent of the rear-facing vertical surface of all vehicles must now be covered with reflective stripes in a chevron pattern sloping downward from the center of the vehicle at a 45-degree angle. We can help you meet the NFPA 1901 Standard for reflective chevrons for your vehicle. 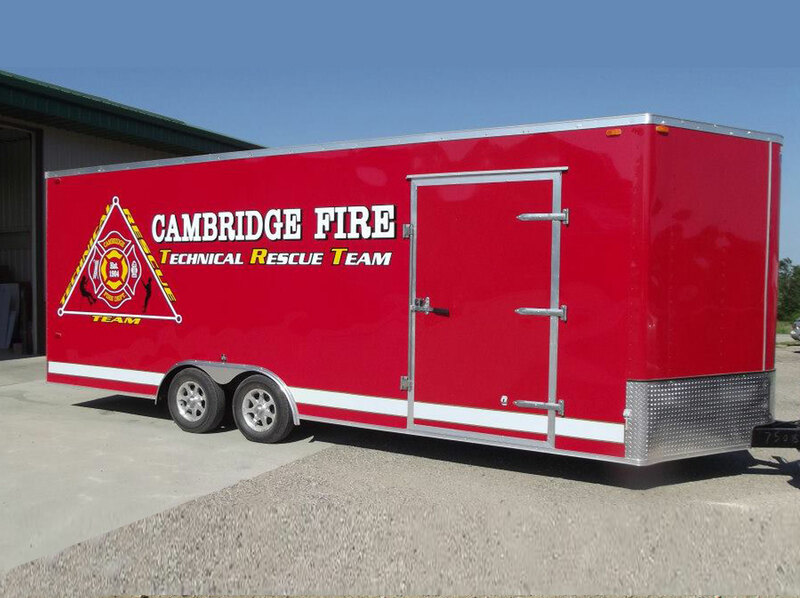 Fire apparatus graphics can be made up of simple lettering to full color prints on the sides of the truck. 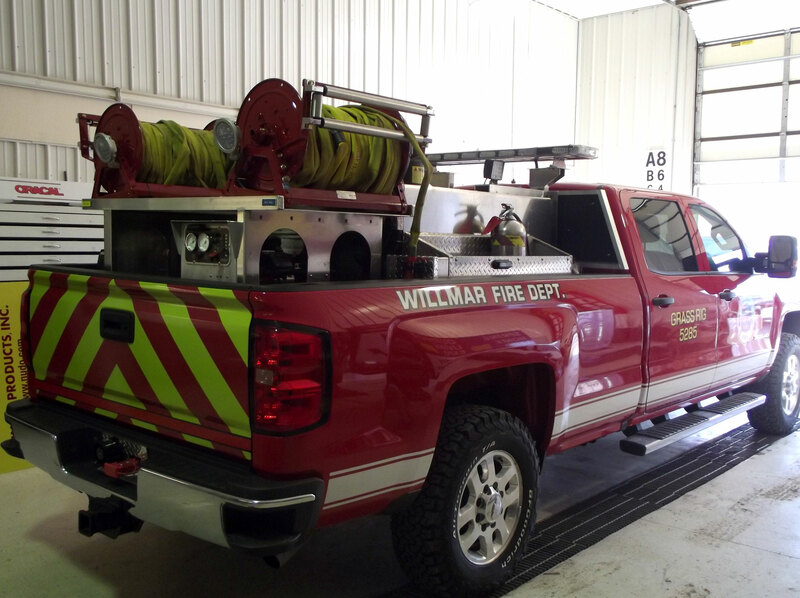 We offer options such as reflective striping, lettering and engine turn text to complete the look of your department's apparatus'. The possibilities are endless!